Cleaning inside your car may not be your favorite chore, so buying one of the best car vacuum cleaners can make life a lot easier! Choosing one that’s easy to use in small spaces, with strong suction and accessories, is only half the battle. Large utility vehicles need a cleaner that’s either battery-powered, or a mains plug-in with a long cable, to reach every last corner. 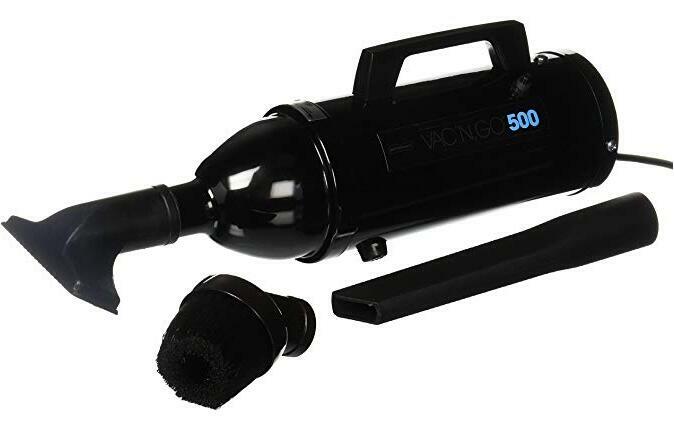 Some car vacuums are compact and convenient, with the nozzle attached to the casing. But they may not be able to clean under the pedals, seats or inside your car’s door pockets. Smaller vehicles are easier to clean with a car vac that has a flexible hose, and can reach into narrow spaces with a special crevice tool. And good tools, like special brushes, are also helpful if you often have ground-in dirt or dog-hairs to clean up. Some auto vacs are also useful around your home, as handy cleaning units for blinds, keyboards and stairs. So if you want a short-cut to the best car vacuum cleaner for your vehicle, read reviews on this year’s six top-selling car vacuum cleaners right now! 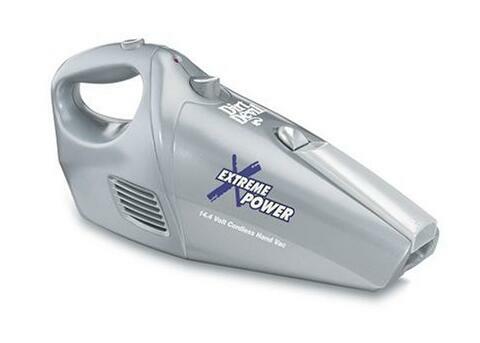 The Dirt Devil Extreme Power does extremely well at picking up car debris quickly, with its strong suction power. It also holds more dust in the dirt-container than most other car vacuums. And as a battery-powered unit, you can reach every part of your vehicle, without needing an extension cable. It is bulkier than some other vacuums, so depending on the size of your vehicle, you may find it hard to manipulate under the seats. And being without a hose, does limit access to every bit of the interior. Although it has a crevice cleaner and small brush accessory, more accessories are offered by other brands reviewed here. However, as a battery-powered car cleaner, you can take it with you and clean your car anytime, as long as you’ve charged it up in advance. 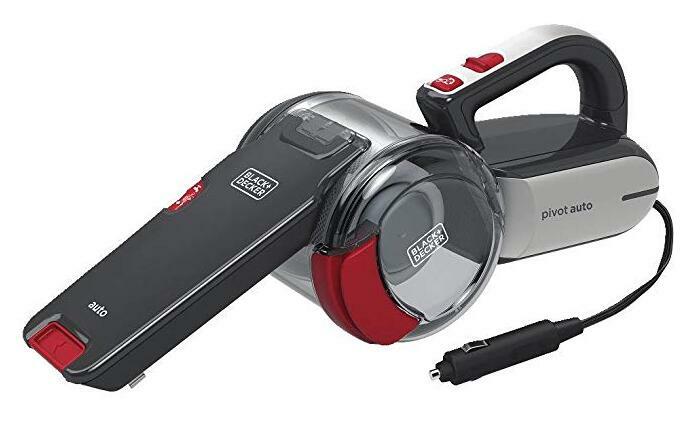 The Carrand is a heavier car vacuum cleaner than other high-quality models, but it has some great design features that make it a very popular and versatile cleaner. In particular, this is an extremely maneuverable piece of equipment, which is a key point when cleaning a car interior. And the Carrand holds all its great accessories in the casing, so it’s very convenient to use. The long, 40 inch hose and narrow nozzle accessory can reach into all of the usual narrow and hard to access places with no difficulty. Although it’s able to clean up dust, grit and crumbs easily, this isn’t the best car vacuum for lifting dog hairs quickly. And you may need an extension-cable to augment the range of the 12 ½ feet cord. 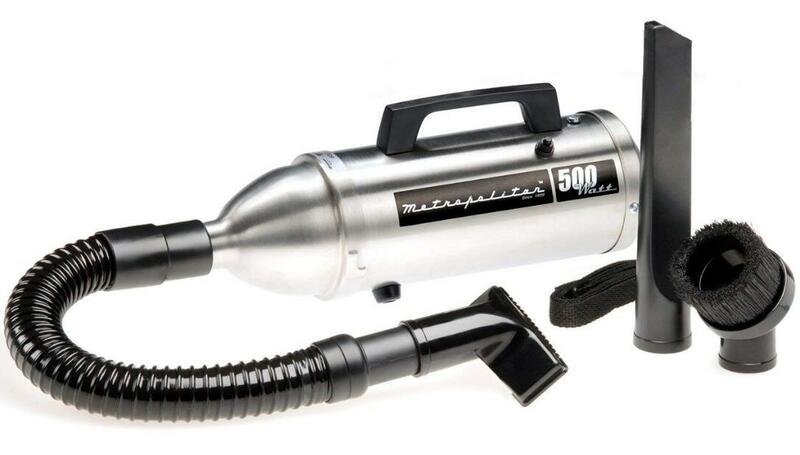 This is a basic car vacuum cleaner from the prestigious Metropolitan brand featured below. The Vac N Go does a competent job cleaning a car interior, including dog hairs. It’s not as easy to manoeuver as other models, as it’s designed for use without a flexible hose. However, the crevice tool does get into narrow spaces and clean under seats. It’s one of the smallest mini car vacs, and uses replaceable bags, which you have to buy frequently as the bags don’t hold much. However, this durable car vacuum cleaner will keep your seats and car-mats clean and needs very little storage space. It has a 500 watt motor and plugs into a wall socket, so can also be used around your home. It also has a longer guarantee than most car vacuum cleaners at an impressive 5 years! If you need a simple, small cleaner that’s also durable, take a look at the Fuller Brush Mini-Maid. The hose and accessories let you get right into tight spots and between the seats. And it features a well-designed, ergonomic handle avoiding strain on your arm and wrist, as you clean your car interior. 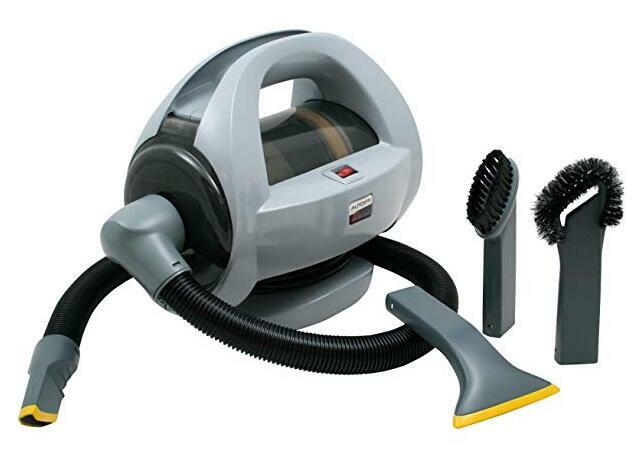 It gives good dust-suction and has an extra brush-head to lift ground-in dirt. You get convenience from the bag-less system, but you do need to empty this compact cleaner after each session. With the washable filter, it costs nothing to maintain. And the cord plugs in to a wall socket, giving you a generous 14 ½ feet cable length. This very competent handheld vacuum cleaner does a great job cleaning up a car interior, including pet hairs. It’s powered by the car’s cigarette lighter, so slower than a handheld plugged in to a wall socket, but still an impressive device with strong suction. It’s easy to manoeuver, and well-designed to reach all those difficult to reach areas inside a car, which most other car vacuums fail to clean. A full set of accessories and a foldable nozzle, mean it’s a compact item to stow under a seat or in your trunk. Unlike a corded car vac, you can use this model for cleaning your vehicle when you’re out on the road, as well as at home. It’s a bag-less cleaner, so no worries about running out of replacement bags. And an extra-long, 16 feet cord allows you to clean a large utility vehicle with no problems. Very strong suction, compared with other car vacuum cleaners, makes this top-quality model stand out for speedy, efficient cleaning. It keeps car upholstery looking clean and new, and is especially good at picking up dog hairs quickly. So it’s a great home vacuum cleaner for folks who have kids and dogs. Despite its powerful motor, this is a light and small car vacuum with a useful handle, making it easy to carry about your home and garage. The cord has to be plugged into a socket, so there’s no limit on how long you can use it for each cleaning session. However, the cable is quite short, so you’ll probably need to use an extension cable to reach all areas. 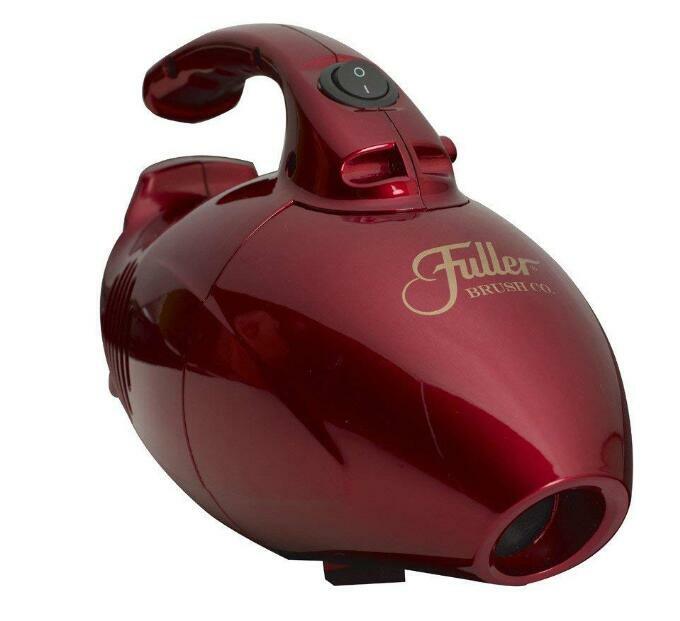 It’s a versatile car vacuum cleaner you can also use to clean stairs, window blinds, sofas, and other small areas. 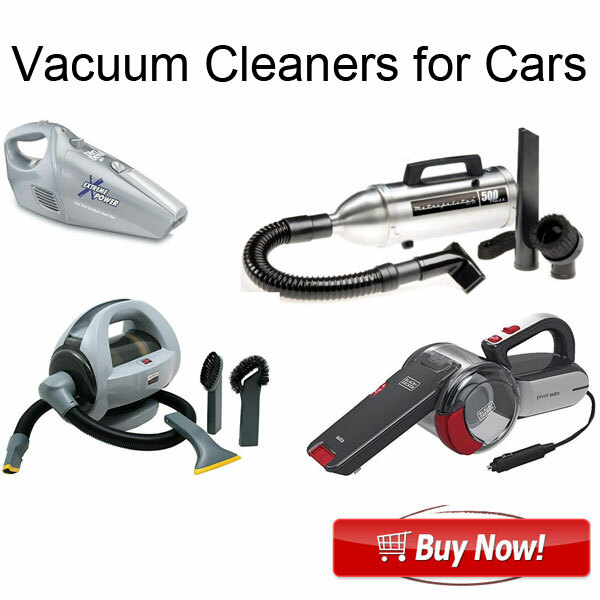 This selection of the best-selling car vacuum cleaners shows the special features that can make cleaning any car a relatively quick and easy task – leaving more time for you to enjoy your favorite leisure activities!